The Lake Havasu Area Chamber Ambassadors celebrated Woody’s Hot Dogs 4 year anniversary with a ribbon cutting ceremony. 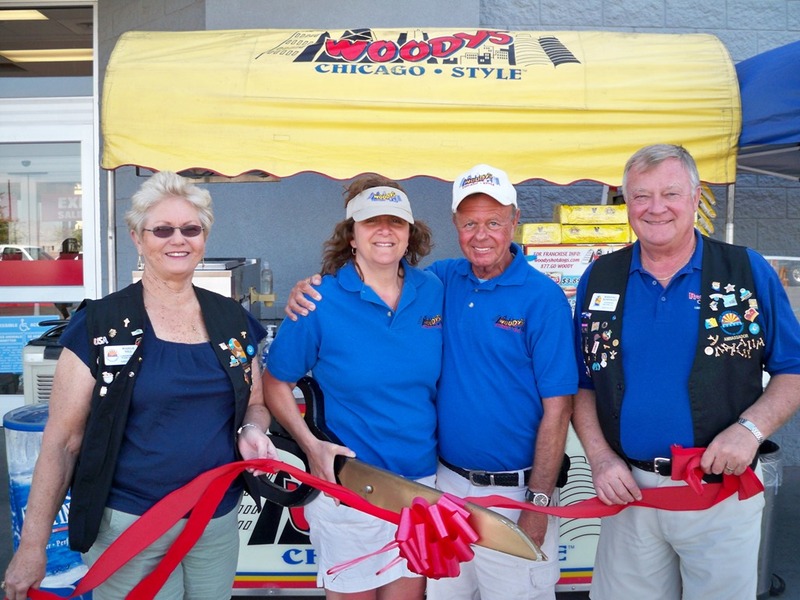 Woody’s sells high quality hot dogs, pretzels and other snacks and beverages in front of Lowes at 4000 Hwy 95. On hand for the ceremony were: Marga Nill, Donna and Les Cecere, and Marshall Ronningen.